that we can fully investigate it. header cart’s outer container is coming from this template file: frontend/rwd/default/template/checkout/cart/minicart.phtml. 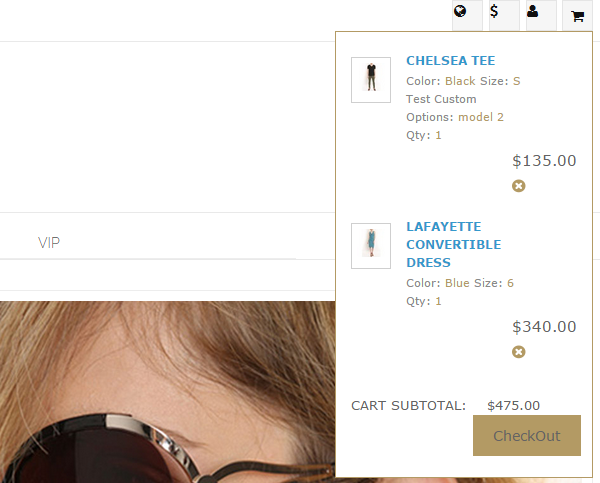 Then on click, the expanded portion is rendered through this file: frontend/rwd/default/template/checkout/cart/minicart/items.phtml. 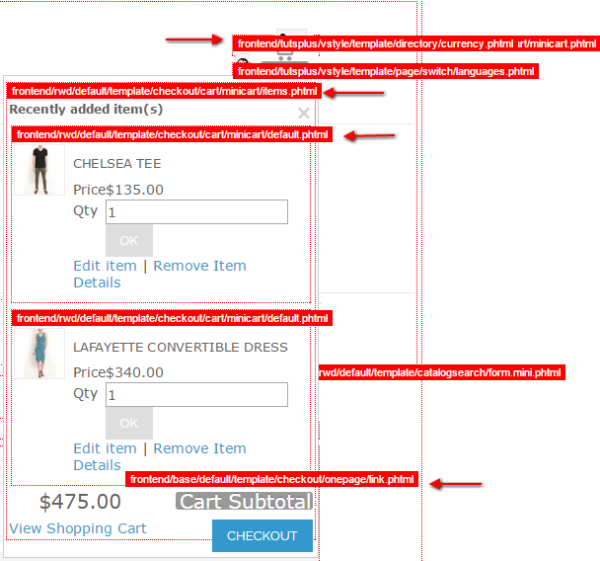 Finally, each cart item is rendered through this file: frontend/rwd/default/template/checkout/cart/minicart/default.phtml. and then start modifying them. I have found all this code from the actual default.phtml. closely you can find it in the file you are trying to modify. expect, so we’ll just need to modify the search bar, and then the main slider. 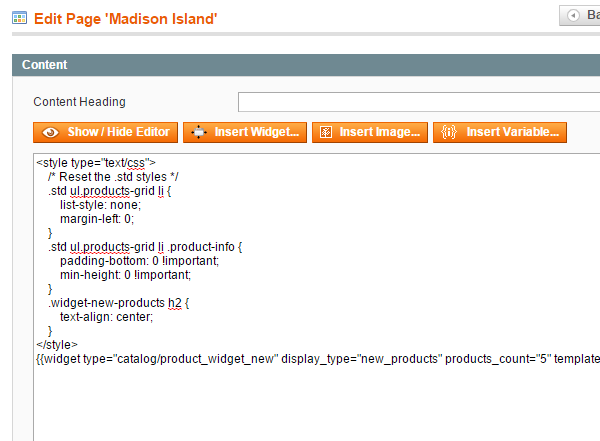 and see which part is responsible for rendering this code: frontend/rwd/default/template/catalogsearch/form.mini.phtml. 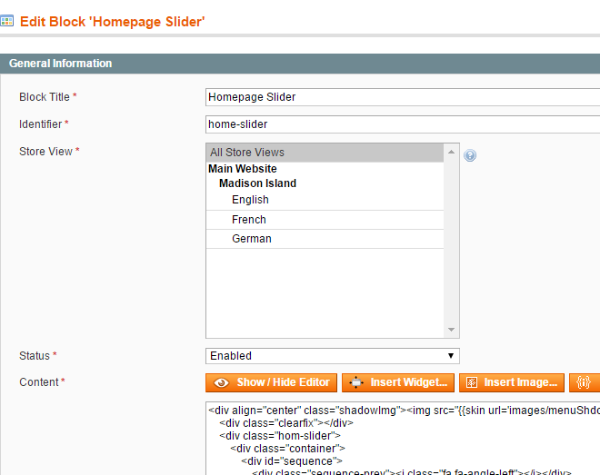 Now we’ll enter the slider code from our HTML. code up to the start of the style section. the footer. We’ll do all this in the next tutorial, so stay tuned for it!